Just Bacon, originally uploaded by houstonfoodie. This entry was posted in Blog Only, Photos and tagged bacon. Bookmark the permalink. Dude, that is so not crisp! You’ve been spending too much time at Biba’s. 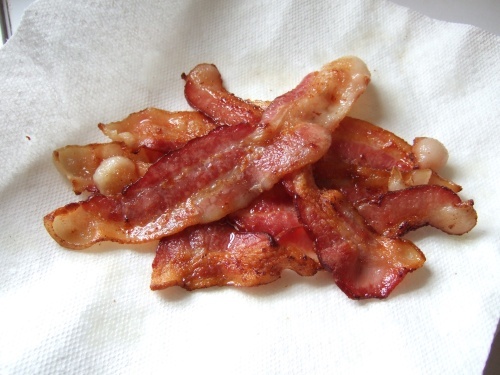 This is the way I like my bacon. Not fried until its a strip of charcoal.